Where: GVPL Goudy Branch, 119-755 Goldstream Ave.
For young children and their families; children under 3 must be accompanied by an adult. Enjoy a fall-themed storytime and make a special craft inspired by the season. Where: Maritime Museum of BC, 634 Humboldt St.
Join in while we learn about life on board pirate ships, go hunting for treasure, and do some pirate themed colouring and crafts. Our Pro-D Day Camp runs from 9:00 am to 4:00 pm and is for children ages 6-11. Space is limited to 10 children, so register early! Although snacks are included, lunch is not. Please ensure your child comes with a packed lunch. Some activities will be outdoors. Weather-appropriate attire is required. Where: GVPL Central Branch, 735 Broughton St.
For ages 6-9. Join art teacher Sandi Henrich for a hands-on art workshop using fun drawing and painting techniques to create your own unique artwork inspired by the vibrant colours of nature and the world of your imagination. Where: GVPL Oak Bay Branch, 1442 Monterey Ave.
For ages 3-5. Get goosebumps at this Halloween storytime filled with not-so-scary stories, songs, and an easy craft. Register at gvpl.ca or call 250-940-GVPL (4875) for more information. Where: Henderson Recreation Centre, 2291 Cedar Hill X Rd. Celebrate Fall with a night full of friends, family and fun! Participate in a variety of activities and games for all ages including the bouncy castle, harvest crafts and pumpkin bowling. Where: The Maritime Museum of BC, 634 Humboldt St.
JOIN US SATURDAY MORNINGS FOR MUSEUM TOTS! This weekly program introduces children ages 2 – 5 to the fun world of museum learning. Each week’s program revolves around a new theme, allowing children to learn through crafts, play, song, and dance. Costumes welcome. Please note: Parents are required to stay for the duration of the program. Come join us for some tricks and some treats. We will have themed crafts and themed games with yummy prizes, plus our Wibit and slide will be open! Where: Oak Bay Recreation Centre, 1975 Bee St. Happy Halloween! Wear your costumes and enjoy spooky Halloween themed games, prizes and events! Join staff in wearing your favorite Halloween costumes, and skating to spooky Halloween music. There will be games, and prizes for people that come to the skate in their Halloween costume and great door prizes! Family Skate 12 - 2:30pm, Everyone Welcome Skate 3 - 4:30pm. Celebrate Halloween at the Oak Bay Pool! Come for a fun-filled swim with a pumpkin toss and spider crawl! Have your face painted while drinking a spooky witches’ brew! Join us for a spooktacular morning of costumed dun that will include face painting, a costume parade and our usual free play fun! !-5yrs with parent. Regular drop in rates apply. A limited number of admissions may be reserved in advance online. In this Special Halloween Edition, the course will teach children how to be safe on Halloween Night! The program is designed to teach children how to use their 6 special powers that kids already have! Plus it will touch on street safety, home alone rules, safe places, “my body rules” and give them realistic physical and verbal strategies to use in stressful or scary situations. 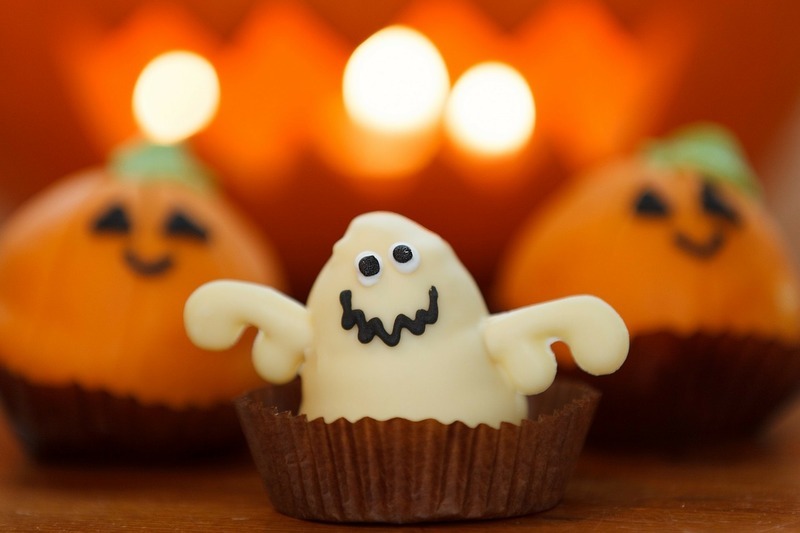 Where: Trick or Treating at the Market, 1701 Douglas St.
Bring your little Ghouls and Goblins down to the Market on Wednesday, October 31st from 10 am - 6 pm for Trick or Treating in the Market! All of the permanent Market vendors will have treats available for your Trick-or-Treaters. GVPL Central Branch, 735 Broughton St.
For children and their families; children under 3 must be accompanied by an adult. Get ready to jump, glide and let your backbone slide at this Halloween themed Dance party. Costumes enthusiastically welcomed. Registered. On Halloween, our Fun Leaders like to dress up too! Come to the Gordon Head Pool during our evening Fun Swim for games, costume prizes, and more! From 4:30 to 6pm on October 31, downtown Sidney is closed to traffic and invites little ghosts, goblins and princesses to enjoy a family trick of treat event! Visit various Treat Stations around Sidney as well as at some of the local merchants. Free fun for the whole family! Don't forget to tag your event pictures on Instagram with #SidneyBOO! No early birds please! Ghostly Walks are 90 minute walking tours with hand-picked routes that explore all the streets and alleys of haunted Victoria. Behind Victoria's veneer of old-world charm, beautiful gardens and afternoon tea lies the darker past. On our tours, experience spell-binding tales of eccentric characters, heroic deeds, love, humour, hangings, murder – and ghosts! Our team of guides combine a love for history with a passion for riveting theatre. Tours are based on practiced and well-delivered stories, but each one includes just the right amount of historical detail to create the context for the story. Back again by popular demand, Michael Halleran takes us to graves of murderers and their victims and tells the grisly tales he has found in coroners’ files, old newspapers and through interviews with family members. This is an annual tour, but is different each year. Where: Point Ellice House, 2616 Pleasant St.
Join the Beyond Belief Paranormal Team as they investigate the paranormal occurrences that staff, volunteers, and visitors have experienced at the Point Ellice House. Reports of activity in and around the 1861 home include full body apparitions, voices, footsteps, and lights turning on by themselves. Over the course of the evening you will have the opportunity to participate in seances, vigils, EVP sessions, glass moving, and table tipping as well as use some of the ghost hunting equipment the team will be bringing. This event is ages 16 and up. Please note, anyone 16-18 will need to be accompanied by a parent/guardian. Weather permitting we will also investigate the grounds so please make sure you dress for the weather and wear flat close-toed shoes. Discover why Victoria is BC’s most haunted city on a coach excursion past some of Greater Victoria’s ghostly sites. Reservations are required and can be made only online. The starting location will be provided when you book your ticket, but will be somewhere in the haunted depths of Oak Bay. Tours last 2 hours and are conducted in the comfort of a charter coach, with two stops along the way for on-site ghost hunting and storytelling. John Adams, well-known historian and ghost storyteller, conducts the Ghost Bus Tours on behalf of the Old Cemeteries Society as a fundraiser for the society. Clairvoyant medium Dawn Kirkham and members of her paranormal investigating team Beyond Belief Paranormal Events will lead a walk through the cemetery and share information they receive from the location or the spirits they encounter. They will also explain what clairvoyance is and demonstrate some basic techniques they use. Where: Victoria Carriage Tours, Belleville & Menzies St. Prepare for Halloween by learning about Victoria's spooky history. We will travel through the most haunted parts of James Bay telling the best ghost stories the city knows. This 45 minute tour is fully narrated by one of our ghostly guides and to make it even more real, every story told is true! The tour was written by the renowned local spooky historian John Adams! Children must be accompanied by an adult. Tickets are non-refundable, unless cancelled due to weather. For reservations please call 250-475-7600. One of the OCS’s most popular annual tours is based on ghost stories linked to people buried at RBC. On some of the graves the occupants might even seem to come to life and tell their tales. Extra guides will be on hand for large numbers. Part of the Ghosts of Victoria Festival. Where: Pier A, 203 Dallas Rd. Our haunted houses are where your most frightening dreams become reality. As soon as you enter the front door, you will be transported into a realm of terror - a dark twisting maze through rooms populated with creatures from your worst nightmares. Monsters Haunted House is located in a giant warehouse. Most of our waiting line is inside. Cash only, no refunds, no pets, no weapons, no alcoholic beverages, no cameras. It is also recommended to leave your valuables at home. We have no age restrictions so long as the child is (a) accompanied by adult supervision, and (b) wants to go through on his/her own will with no one forcing him/her through. If you think your children will enjoy the scares, then bring them down. Please use appropriate judgement, and remember there are no refunds. Our attractions are not intended for younger audiences. Cost: $12 adult, $8 child. Second tickets are $6. Galey Farms' signature event has four main venues, featuring a Haunted House for kids, and the much, much scarier 6000 square foot Carnevil Haunted House for adults. The Cornfield of Horror is fully animated and features The Haunted Mansion, Pirates Island, The Addams Graveyard and many more fabulous displays. Fun for all ages during the day, but gets much spookier after 6 pm. The Crazy Train has over a mile of animated seasonal displays and great seasonal fun for all ages. Madame Isabella's Seance is a theater room where everything comes to life and tells a ghost story of years past - it is a little scarier. Carnevil is Victoria's most amazing 6,000 square foot Haunted House of terror (PG13) and has even more new features for this year. Now with 3 chicken exits for the faint of heart. Enter if you dare. For ages 10-12. It is Halloween night. You are locked in the library with ghosts. Solve spooky clues, puzzles and maps to escape to trick or treating. Where: Heritage Acres, 7321 Lochside Dr. This event will be a shared event between VIME (Vancouver Island Model Engineers) and SHAS (Saanich Historical Artifacts Society). There will be a ton of creepy things for the younger crowd that aren’t too scary. Pumpkin carving, face painting, and lots of other fun things. A Haunted House, and several other surprises in store for you and your family. A concession stand will be open to keep your tummy happy. Come on out and bring the kids! They will have a great time, scarenteed! Please use discretion when bringing your children. There WILL be loud noises, gruesome sights and unexpected surprises. You know what your child can handle more than anyone else. We recommend one parent go through at a time while the other stays back at the entrance with the kids. There will be miniature candies given out at the end of the driveway to small children and large cowards unable to endure the entire haunt. More candy will be given upon exiting. If you survive that is... No street parking. There will be volunteers from Help Fill A Dream to accept cash, check or credit card donations. Escape Rooms are cooperative 5D live-action adventure games that involve puzzles, codes and the sleuthing of clues! They are famous for stimulating the mind and building social connections. Victoria Escape Games is Vancouver Island's boutique escape room company, offering 100% exclusive and innovative live-action adventure games. If you live in Saanich you can hold your own Halloween bonfire and fireworks so long as you acquire the appropriate permits by 12 noon on October 31. Where: Fernwood Community Centre, 1240 Gladstone Ave. The Municipality of Oak Bay hosts a giant bonfire in Fireman’s Park, adjacent to the Oak Bay Police Department and Firehall. Enjoy hot dogs, hot chocolate, a Halloween costume contest, and a chance to spray fire hoses! Where: Archie Browning Sports Center, 1151 Esquimalt Rd. Hallowe’en just isn’t Hallowe’en in Esquimalt without a bonfire!! Hosted by the Esquimalt Lions, this event is a great way to wind down the festivities for all ages. Enjoy the warmth from the flames of a huge bonfire while enjoying a nice warm cup of hot chocolate – reusable cups strongly encouraged. All food and drink sales are by donation with the proceeds feeding directly back into community programs. Esquimalt residents may drop off clean, untreated wood anytime betwen 10:00am and 5:00pm on Wednesday, October 31st at the Archie Browning Sports Centre rear parking lot in the designated drop off area. The Metchosin Volunteer Firefighter's Society and the District of Metchosin will be hosting our annual Halloween party at the firehall on Halloween night. Doors open at 6pm, costume judging at 7pm and fireworks to begin immediately after sunset. This year we are stepping it up a bit on the scare factor and have put together a ‘haunting hall’ for the brave of heart to enter. Not to worry, for the wee little ones we have our traditional Halloween costume contest, preschool corner, free hot dogs & juice, a huge bonfire and of course fireworks! Where: Colwood Fire Hall, 3215 Metchosin Rd. Where: North Saanich Fire Dept., 986 Wain Rd. Where: Centennial Park, 7526 Wallace Dr.
Join us for the annual Bonfire and Fireworks display put on by the Central Saanich Volunteer Fire Department. The bonfire will start at 7:30p.m. with fireworks display at 8:00p.m. The Central Saanich Lions Club will be there selling hot dogs, coffee and hot chocolate by donation. Where: Theatre Inconnu, 1923 Fernwood Rd. Come help us celebrate the 200th anniversary of this horror classic! Staying true to the essence of the original classic by Mary Shelley, David explores the humanity of the characters, and how this is tested through the moral dilemmas they face during the course of the action. This tale presents a once “unthinkable” concept that many could argue is becoming less of an “if” than a “when.” What defines life? What is the value of life? Does anyone have the moral authority over the creation or destruction of what constitutes existence? These are heady questions, but they can also be the stuff of nightmares, and as a prelude to the Halloween season Frankenstein delivers! Where: Pendray Farms, 9537 West Saanich Rd. Vancouver Island Corn Maze was started in 2015 at Pendray Farms. After a definite interest and positive feedback in our first year, we decided to move full throttle towards a bigger, better and more inclusive maze. Each year, the theme of the maze is centered around something we feel is important to our community. The main entrance is divided into the smaller maze (~2km in trails) and the large maze (6km in trails). There is a "Walking trail" (~1km long) that goes around the maze but is not connected, great for a nice 15 min walk. Check out the Corn Pit (7 tonnes of corn to relax and play in), all-ages Tire Playground, and Barrel-Train Ride (ages ~3-10). There are both posted and hidden game stations in the smaller and larger mazes. Save the map on your phone and help reduce paper waste this year! Where: Craigdarroch Castle, 1050 Joan Cres. Craigdarroch Castle will be featuring a set of Halloween movie series with cash bar and raffle tickets for brewery and castle swag prizes, and a free soft pretzel with every ticket. No assigned seating means first come first serve. Films include Dracula (1931), Frankenstein (1931), Creature From The Black Lagoon (1954), Nosferatu (1922), House On Haunted Hill (1959), and Bride of Frankenstein (1935). Cost: $12 adult, $8 child for the Corn Maze or Train Ride. Family combo pass available for $48. Pumpkinfest is a great time for the whole family! Featuring live entertainment, face painting, kids games, hay rides, u-pick pumpkins, train rides, corn maze, playground, petting farm, children's haunted house, fantastic seasonal displays and our new Cow Train! Don't forget to bring your camera! The Zombie Walk returns to Victoria for 2018, shambling from Centennial Park to the lawn of the BC Legislature. Break out your best zombie makeup and get out the blood! Who says Halloween only comes once a year? The Zone @ 91-3 and 100.3 The Q! are proud to support the 4th Annual TP The Town on Saturday, October 13th! This is a unique charitable event aimed to collect thousands of rolls of toilet paper for families in need. To date, over 185,000 rolls of toilet paper have been donated! Celebrate this German tradition at the SHOAL Centre. This event will have a yodeling competition, games, prizes, and music from the Victoria Accordion Club. Enjoy bratwurst on a bun with German potato salad, pickled beets, green salad, and apple strudel. Grab your Lederhosen and join us for this fun filled event! Purchase tickets by phone at 250-656-5537 or in person at SHOAL reception. Where: Vic Theatre, 808 Douglas St.
Where: Royal BC Museum, 675 Belleville St.
Have you ever been spooked in the night by a set of glowing eyes that stare at you from a distance? Wonder Sunday will help you understand exactly what you were seeing and why the eyes glowed. Come and spend Sunday afternoons with us during the month of October and discuss the critters that roam after hours. Where: Pearkes Recreation Centre, 3100 Tillicum Rd. Meet new friends, try new recipes, enjoy a nutritious three-course meal and help maintain your health. This is not a cooking instruction class but a fun, social, co-operative cooking experience. Where: Victoria Public Market, 1701 Douglas St.
Join us for Victoria's 4th Annual Stein & Dine Oktoberfest celebration hosted by Roast Meat & Sandwich Shop. What to expect? Lots of laughs! live entertainment, games, accordion player, Oktoberfest dancers, lederhosen contest, beard and braid contest, beer pong, giant Roast jenga, prize wheel & more. Germanic inspired dishes provided by Roast and a fantastic selection of BC craft beer, cider and wine to whet your appetite. Each year the tickets sell out fast, so don't hesitate on yours! Set in the early 1950’s, a group of strangers are stranded in a boarding house during a snow storm, one of whom is a murderer. The suspects include the newly married couple who run the house, and the suspicions in their minds nearly wreck their perfect marriage. Others are a spinster with a curious background, an architect who seems better equipped to be a chef, a retired Army Major and a strange little man who claims his car has overturned in a drift, and a jurist who makes life miserable for everyone. Into their midst comes a policeman, traveling on skis. He non sooner arrives, when the jurist is killed. Two down, and one to go. To get to the rationale of the murderer’s pattern, the policeman probes the background of everyone present, and rattling a lot of skeletons. Where: Intrepid Studio Theatre, 1609 Blanshard St.
An audience member, much like yourself, wanted to attend an improvised ghost stories show. Because, after all, ghosts aren’t real and the paranormal is just a myth. So they went to the show, expecting to have a good time but instead they were never seen alive again. After the show they were found in the back row… with blood oozing from the back of their head! Come enjoy (or not) an evening of improvised, and spooky, campfire stories. Celebrating 200 years, Shelley's original gothic novel meets Coralli and Perrot's timeless ballet Giselle in an alchemy only Destrooper dares bring to the stage. Horror, romance and science fiction galvanised into a new ballet driven by a score boasting Verdi, Shostakovich, Dukas, Catalani and Adam. Think Corpse Bride meets Frankenstein. Haunted Night Zipline Tours are full of terror and fun! There are strange creatures running amok and spooky tales to be told. Ghosts, monsters and tall tales are all a part of this very interactive experience, available only around Hallowe’en. Space on our Haunted Night Zipline Tours is very limited, so please book as early as possible in order to avoid disappointment! Looking for something a little more family-friendly? You can take our Haunted Zipline Tour during the day for a less intense experience. Where: The Vic Theatre, 808 Douglas St.
We’ll have a fantastic host to start the night (and indoctrinate Rocky Horror virgins), a costume contest, and all of the rice-tossing, newsprint-hoisting, interactive madness you can dream of. This is the film, not a live show.Limited amount of prop bags available for $5 cash. 2 pieces of ID will be required for entry. Where: Oak Bay Village, 2167 Oak Bay Ave.
Come out for a fun evening of music, dancing, food, drink and prizes! This is our annual Halloween Dance, featuring funk and soul masters, Groove Kitchen! This hard-driving, party-hearty quintet is shaking up the clubs with its red-hot mix of funk, Latin, reggae and soul for dancing! Don't forget to dress in your Halloween costume and be ready to have fun! Tickets available at Oak Bay Recreation Centre reception, Ivy’s Bookshop, or online. Grades 6-9. Join us for an Extreme Halloween Party complete with scary movies, a spooky photo booth, and Fear Factor challenges! Don't forget your costume! Whether you stroll into the “Feeling Ghoully Music Zone,” visit our “Ghostly Giving,” and learn more about some of our over 3000 non profit organizations in Greater Victoria, start some early shopping in the “Harvest Market,” or have some fun in the “Too Cute To Spook Wicked Kid Zone,” you will have a wonderful time seeing all your favorite characters, costumes and ghosts! Local performers will perform at our Entrance To Boo Boulevard and at Humboldt to Courtney, including a small stage, lights, local entertainment, ghostly decor, and bouncy castles. Supported by the local merchants of Government Street, the Harvest Market will engage local vendors with harvest foods, jams, jellies, toys, and a photo booth. The Kid Zone will feature pumpkin designing, balloons, coloring, face painting, games, blow ups with a central open area, bouncy castles and the Monster Mash March around 3pm! Watch for some of your favorite friends to show up!!!! Glow sticks, wristbands and pumpkins will be by donation with profits supporting Jeneece Place and the Children’s Health Foundation. Where: Metchosin Community Hall, 4401 William Head Rd. Everyone welcome to join us in celebrating Metchosin's bats and HAT's work for bats across the CRD! This community event will bring art and science together with audio and visuals of the bats that are roosting in the hall itself. Experience bats like you never have before with an amazing art installation by local artist Estraven Lupino-Smith. Try out bat detectors, bat arts and crafts, bat-themed treats by donation (free treats for bat volunteers and stewards! ), and candy and prizes for kids in costume! Bat presentation and workshop at 3pm includes how you can help local bats, and an update on the 2018 bat monitoring season. Guests are welcome to stay for entertainment after 5 pm and are encouraged to participate in our Silent Auction! From October 29-31, pick up your map from any participating business & go find your favourite pumpkin. Vote for your favourite and you could win one of many Downtown Victoria prize packs! And remember to bring the little ones down for Trick or Treating on October 30 & 31 from 3:30-6pm. Where: Oak Bay Village, 2200 Oak Bay Ave.
Each Halloween, Oak Bay Village hosts a giant community Trick or Treat! Oak Bay Avenue merchants offer treats in stores from Foul Bay Road to Monterey Avenue. Participating merchants are identified by the pumpkin poster in their window. Following the trick or treat, the Municipality of Oak Bay hosts a bonfire in Fireman’s Park with hot dogs, hot chocolate and a Halloween costume contest. Where: Interactivity Board Game Cafe, 723 Yates St.
Hallowe'en is loved by many, and hated by some. We don't want haters at this quiz night, which will celebrate all things horror - films, books and those ghostly tales on which they are all (loosely) based. Prizes of $50 and $25 vouchers to the winners. Dress up and cosplay encouraged. There will be a costume competition too. Event is over 19 only, as we are in fully licensed premises. There will be a slingshot and a child’s slingshot open on the front field. Waivers need to be signed if you want to launch a pumpkin. Other activities include a teeter-totter launch, hammer pumpkin smash, pie eating and pie making contest, bake sale and cut outs for pictures. All Heritage Acres buildings will be open including the washroom and the concession. The schoolhouse will be open for concession. The trails will also be open for walking.